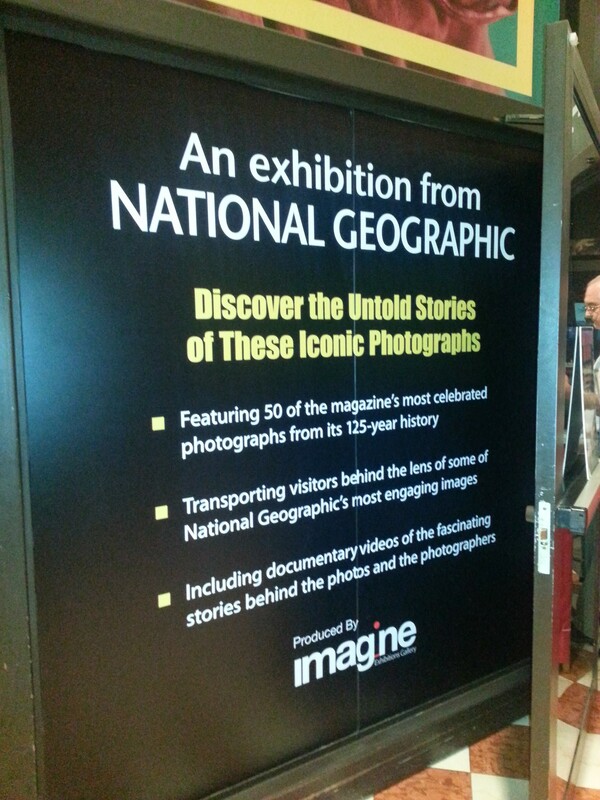 A few weeks ago I went to Las Vegas and visited the Imagine Exhibitions Gallery located inside of the Venetian which is currently featuring 50 Greatest Photographs from National Geographic. The Imagine Gallery is fairly new to Las Vegas and opened in June of 2012 with the exhibition Da Vinci – The Genius. 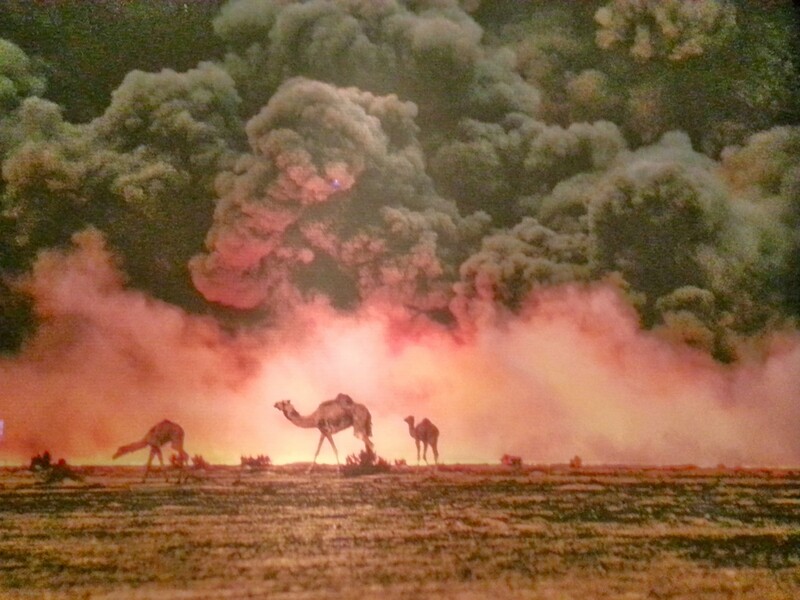 50 Greatest Photographs will be on display through January 13, 2014. Retail tickets for the exhibition typically range between $20 and $30 depending on the exhibition taking place. 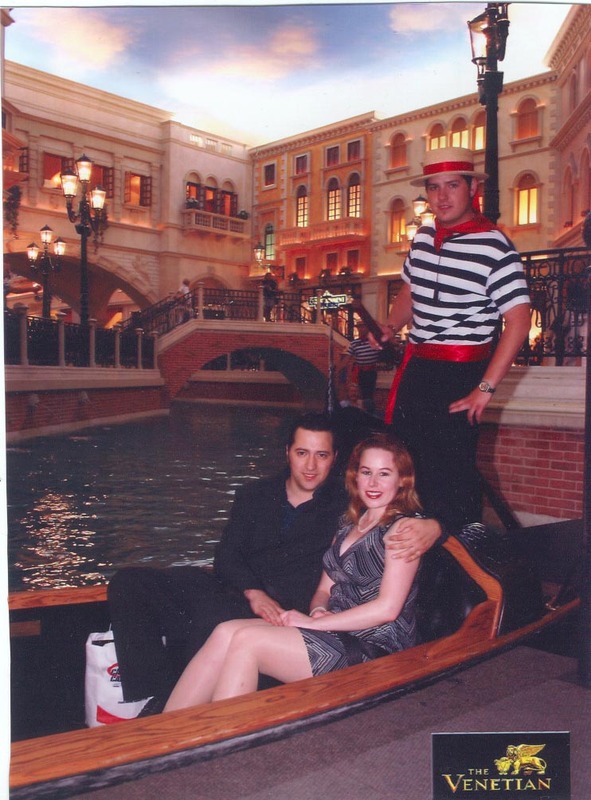 I was so very excited to visit this exhibit in the Venetian, not only because it sounded so fascinating to me, but because I always enjoy going back to the Venetian hotel since it is where my husband proposed to me on a Gondola nearly 10 years ago! Since opening in February 2013, 50 Greatest Photographs of National Geographic has taken thousands of guests to all corners of the globe, including the freezing temperatures of the arctic, the hot sands of the Kalahari Desert, underneath the Amazon River and even a foam party in Ibiza. 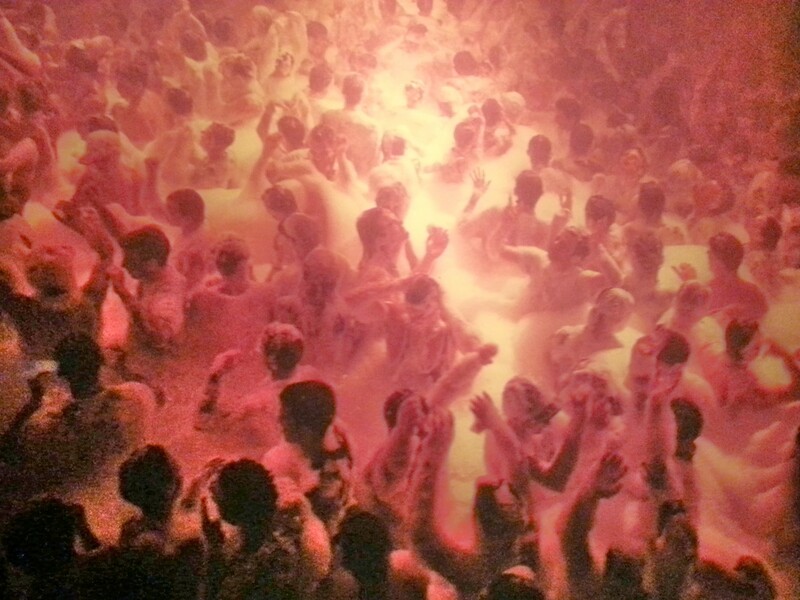 I loved seeing the variety of photographs that encompassed the exhibit and I definitely plan to go to a foam party in Ibiza one day! What I personally loved about this exhibit was the fact that each photographer is mentioned along with the year the photograph is shot and there is an in depth explanation of the stories behind the photos and even some additional burst shots of the photographers’ journeys when capturing these precious moments in time. In addition to excerpts about each photo, there are a few videos that give explanations of several of the photos. My only qualm was that there were not more of these. I would have loved to see more video coverage. 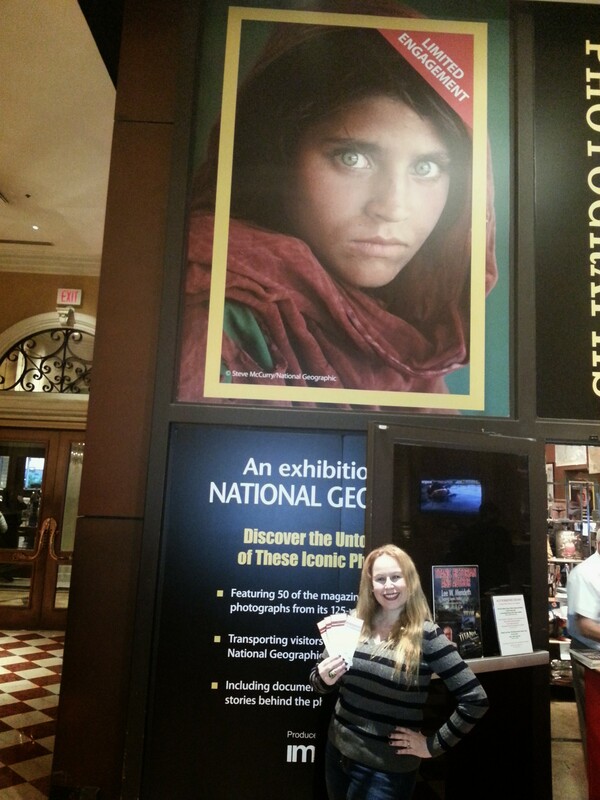 My personal favorite photograph was the Afghan Girl. I loved how the photographers were able to capture her images as a young girl and as a grown woman. The 3 pictures side by side with a long excerpt shared the story of this woman’s struggles and successes. An in-depth look at Steve McCurry’s iconic “Afghan Girl,” accompanied by a photo of Sharbat Gula, the famous green-eyed refuge, 17 years after her famous portrait was taken. Nick Nichols’ monstrous shot of a 1,600-year-old redwood tree in California – a feat accomplished by using 84 cameras to create one composite photo. 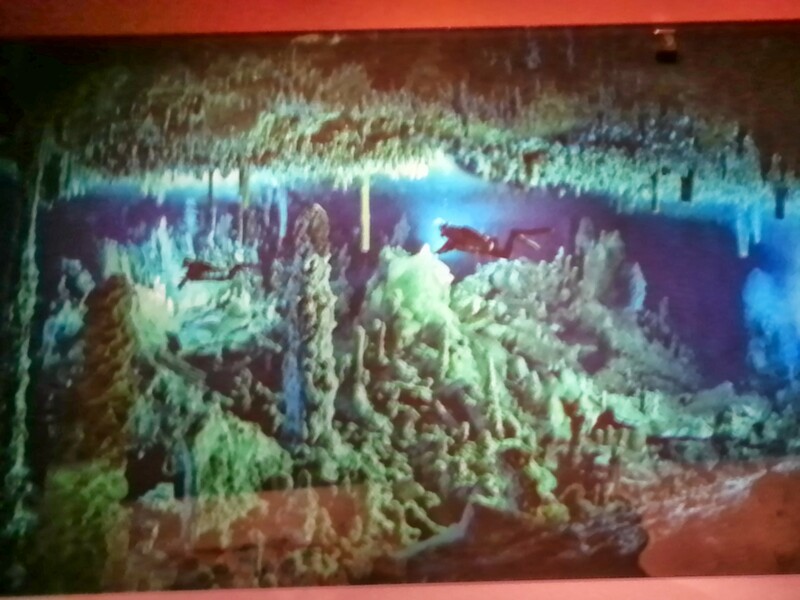 Wes Skiles’ heart-pounding photograph of divers exploring an undersea cave floor in the Bahamas. William Albert Allard’s tear-jerking image of a Peruvian boy mourning his sheep carelessly wounded by a hit-and-run taxi driver. The exhibition also features a gift shop, where visitors can purchase posters of some of their favorite National Geographic photographs as well as books, DVDs and other souvenirs. If you have been to this exhibit, please share your experience with me below as I would love to hear about it! If you have never been, you should go if you are heading to Las Vegas for travel or live in the local Nevada area. It is definitely an awesome experience! Hurry there soon, as this exhibit will be in the gallery through January 13, 2014 and then there will be a whole new display to come. Attending an exhibition like this really brings home how sheltered and privileged we live! That is such a true statement Loretta! Great insight! I would have ,loved to go to this! Looked amazing!! SO cute your husband proposed to you on a gondola! How romantic! Thanks so much for the comment. I loved that proposal idea:) My hubby the hopeless romantic:) The exhibit was awesome for sure! Check it out if you get a chance! This exhibit must be absolutely amazing to attend. 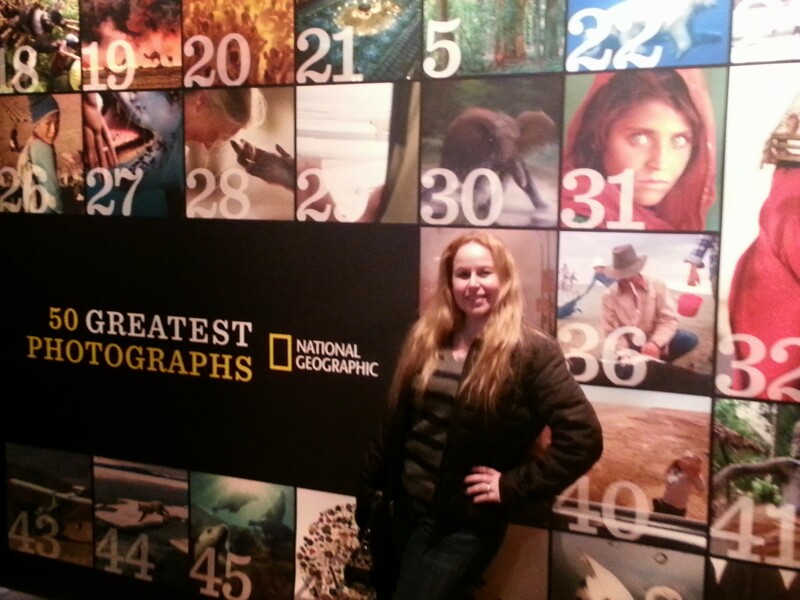 Thank you for sharing this National Geographic exhibit. Wow that looks to be great! Something to think about the next time we are near it. I’m not much of a gambler either but now we have an excuse to go to Vegas. The first thing that came to mind was how great this would be for my kids to see since we are going to be homeschooling soon. Are the afghan girl’s eyes not breathtaking? They definitely tell a story! What a great experience and thank you for sharing. I won’t be there in time to see this, but wish I could. Thanks Jim! You would love it! I hope it comes to your town soon! You lead such a fascinating life and we get to live it through you. I am planning a trip there and hope to do so before this closes. Awesome Marjory! Let me know what you think! Thanks for the compliment! This was really a great exhibit and it was well worth it. Nice to see all the photos in one spot. Thanks Tom! It was an awesome exhibit! All the photographs are simply beautiful. Love them all! Now I want to go to vegas!!! Thanks! You totally should!! Vegas rocks!! I would LOVE to go to this exhibit! I love the different photos that you shared but I would love to see them all. What an amazing journey. The National Geographic is known for the amazing photographs. 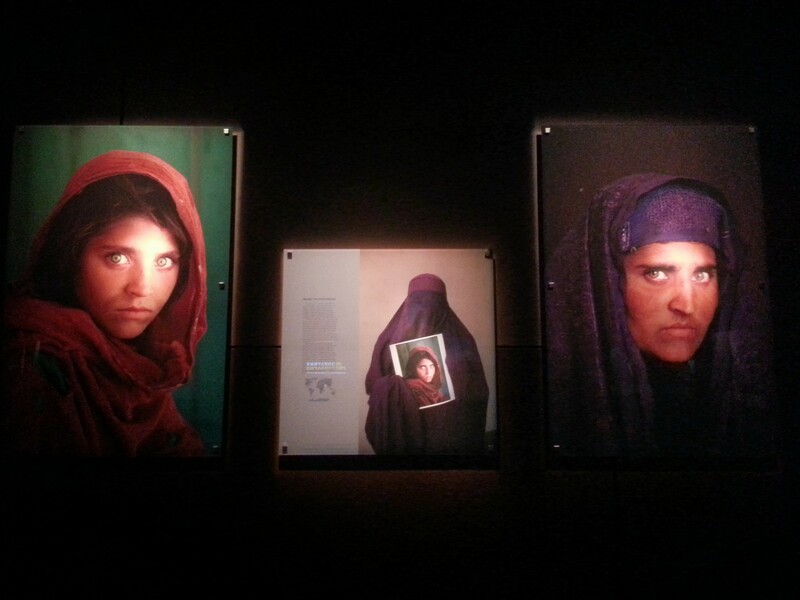 I was especially impressed by the Afghan woman 17 years later. I was touched by her eyes when the picture was first published. Thank you for sharing your trip. Those look amazing! I would love to go on a trip like that since I am a photographer my self!